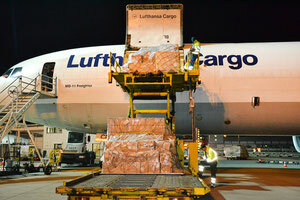 Lufthansa Cargo has concluded a partnership agreement, guaranteeing the Swiss agent Militzer & Muench the exclusive handling of the product in the entire European market. M&M's ally is the U.S., Pilot Freight Services who is responsible for taking care of myAirCargo in the States. The deal between LH Cargo and Militzer & Muench was already sealed last January, following a tender, but was set in practice only after the carrier launched its new offering for individual clients in the first week of August. The service is tailored to the individual needs of travellers that purchase oversized or bulky items abroad they want to bring back home. Normally, this is extremely costly because airlines demand almost a fortune for carrying outsized or very heavy pieces passengers want to take back home as carry-on luggage. LH Cargo detected this gap in growing demand and the lack of a tailored product to meet traveller's needs as market opportunity, shaping their individualized myAirCargo product. It is bookable via a special LHC App, enabling individuals to order door-door transports of their items. This could be large paintings, pieces of furniture, valuable carving works, cultural artefacts or others. Militzer & Muench points out that for the time being, LH Cargo's new product is only available on sectors linking Europe with the U.S. that are serviced by the freight airline. In the U.S., M&M's local partner Pilot Freight Services has been awarded the handling contract. Both, M&M and Pilot Freight Services offer individuals that have booked a myAirCargo shipment the pick-up of the items, their customs clearance, the weighing and measuring service, security checks, value added services if required, the entire documentation and, in case of imports the on-carriage of the goods to the consignees. Global Air & Sea and member of M&M's Group Management. This all the more since his company can expect to capture more business step by step since additional markets will be integrated in the freight carrier's product offering. 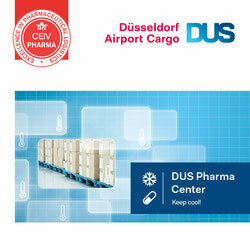 Jaeger emphasized: "Militzer & Muench automatically handles all traffics for myAirCargo routed via Europe." It is quite simple for individuals to place their order. 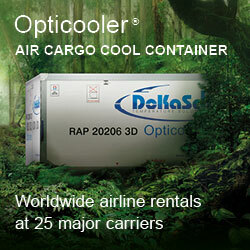 After visiting the www.myaircargo.com site they are directed to the booking portal. After they have entered the weight and dimensions of the piece, as well as the route, they are immediately shown the price for the entire transport from A to Z. Once booked, LH Cargo in cooperation with its partners organizes the entire supply chain from pick-up to delivery. "Booking air freight online, direct, fast, and easy - we are the only ones to offer that," enthuses Pilar Fresnillo, Director Offer Innovation at LH Cargo.